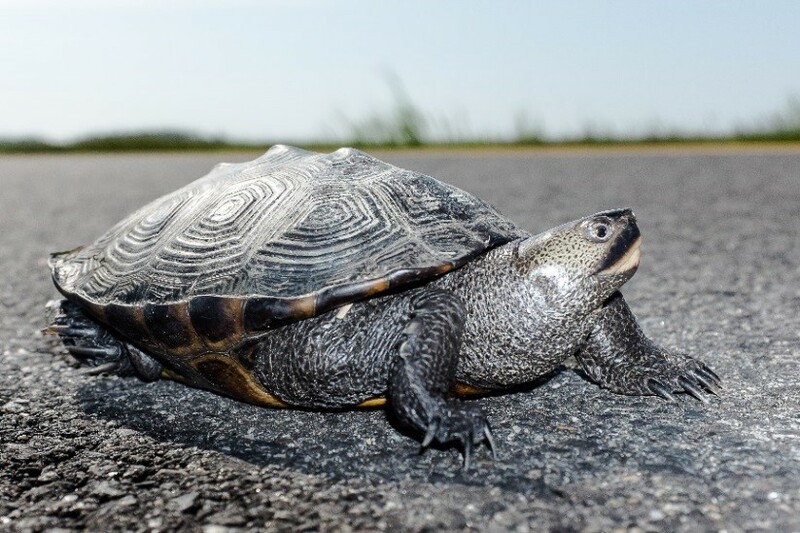 (18/P053) TRENTON – The Department of Environmental Protection is asking motorists to drive with caution this summer because New Jersey’s turtles are active and moving across roadways to find places to lay eggs. All of New Jersey’s turtle species lay eggs by digging a hole in the ground, depositing the eggs, and then covering the nest with soil. Turtles sometimes travel long distances, crossing roadways to find just the right spot to lay eggs and ensure their survival. As a result, turtles are at significant risk of being struck by vehicles. Turtles are particularly vulnerable because they are slow moving and their defense mechanism is usually to stop and withdraw into their shell when feeling threatened. Some of the species that are moving around now include Eastern box, Eastern painted, wood and snapping turtles. One coastal species that is particularly at risk is the diamondback terrapin, New Jersey’s only saltmarsh turtle. Summer brings more traffic to shore areas where these turtles live, increasing risk of strikes. This unique species is the only turtle to inhabit New Jersey’s coastal estuaries year-round, living exclusively in brackish water. During this time of year, adult females emerge from their aquatic habitat to find suitable locations to lay eggs, seeking areas with sand and gravel above the high tide line. Loss of coastal habitat has increased mortality risk as diamondback terrapins search for these nesting areas. Terrapin nests are often along roadsides, increasing the risk of vehicle strikes. Keep a safe distance between your vehicle and those ahead, to see any turtles in the roadway. Use caution to avoid hitting a turtle in the road, but do not swerve suddenly, leave the lane of travel or stop abruptly. Always keep your safety and the safety of others in mind. Watch for oncoming vehicles, signal properly when pulling over and activate vehicle hazard signals if you decide to pull over to assist a turtle crossing a road. Allow turtles to safely cross roads unaided if a lack of oncoming traffic allows them to do so. Handle turtles gently and avoid excessive handling if it is necessary to pick them up. Most turtles can be picked up by the side of their shells near the mid-point of the body. Do not pick up a turtle by its tail, as doing so may frighten or injure the reptile. Wear gloves or wash your hands after handling a turtle. Move the turtle in the direction that it is heading. It may seem helpful to assist the turtle by moving it to a nearby waterbody, but the turtle may not be heading toward water. A turtle will turn around if it is put in the wrong direction. 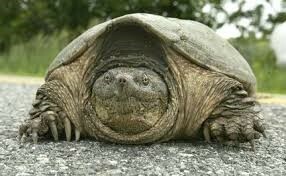 Only experienced handlers should ever attempt to lift a snapping turtle. The safest way to assist snapping turtles is to use branches or similar objects to prod them along from behind. Never take a turtle into your personal possession. All native turtles are protected in New Jersey. Do not disturb a nesting turtle and keep children and pets away from it. Most turtle eggs will hatch in 60 to 80 days. A small cage can be placed around the nest to offer some additional protection for the first 30 to 45 days, but it must be removed before the hatchlings emerge. The DEP does not relocate turtles found in yards or turtle nests.